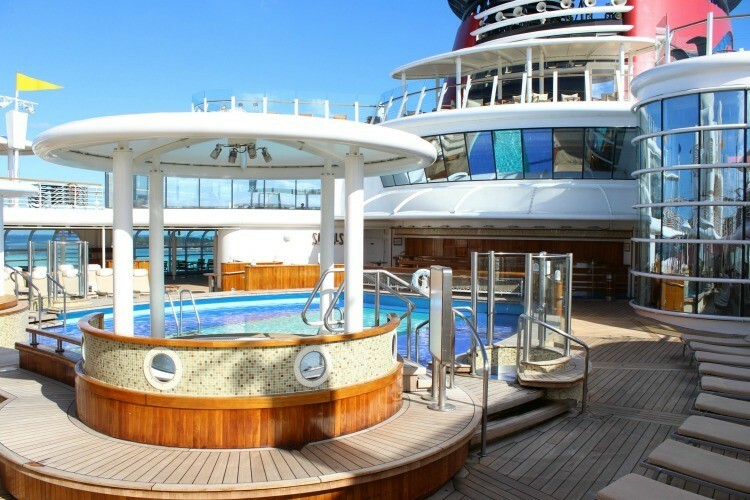 Home » Blog » Disney Cruise » A Kid-Free Disney Cruise? Yes! 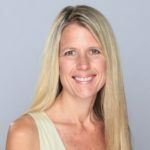 Ready to take a kid free vacation? 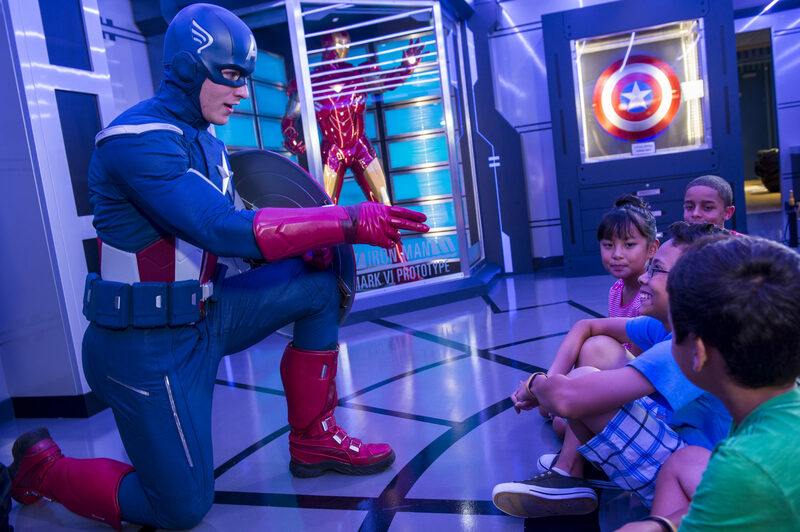 You might think that a Walt Disney Cruise is just for families but you’d be surprised at how much fun it can be for adults. 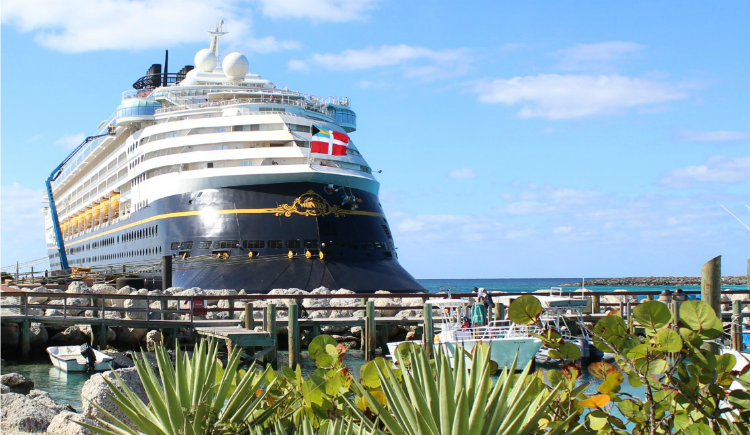 From wine tastings to relaxing on the adults only beach at Castaway Cay, there are some compelling arguments for hopping aboard a Walt Disney Cruise without the kids. 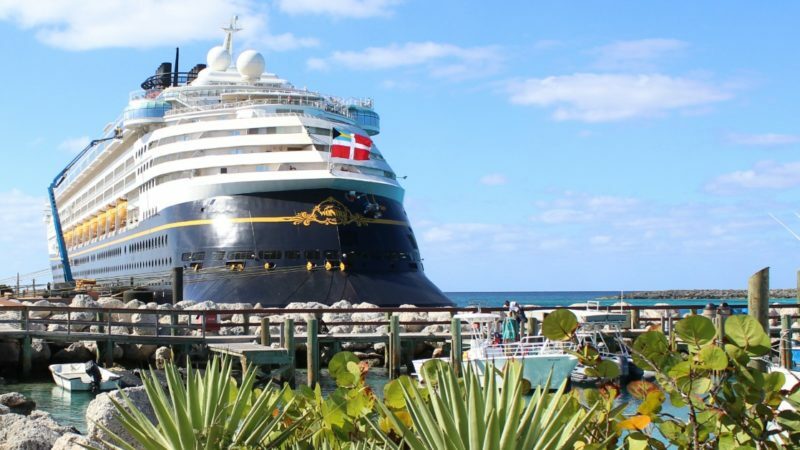 Think a Walt Disney Cruise is just for kids? 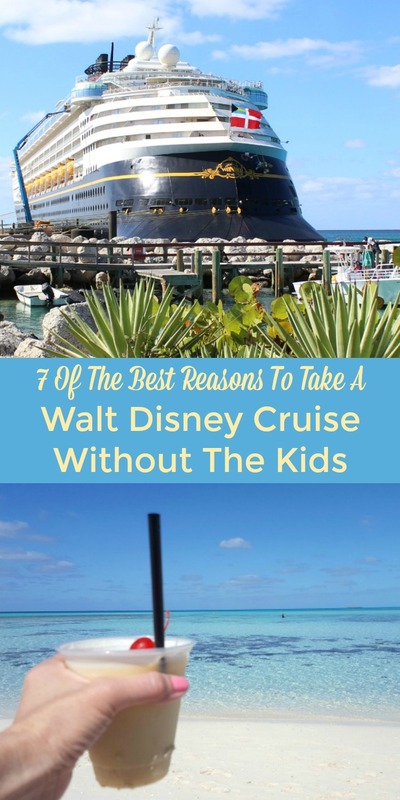 That’s what I thought until I grabbed a friend and climbed aboard the Disney Wonder for a kid free vacation. There were a surprising number of activities for adults and it was a great way to spend a few days just relaxing and enjoying a little mommy time. I recently had the chance to attend a conference aboard the Disney Wonder and immediately accepted. Walt Disney Cruises are always very highly rated and I couldn’t wait to check it out for myself. The only problem was that my family couldn’t come along due to scheduling issues, so I left the kids behind with my hubby and brought a girlfriend instead. We were long overdue for a getaway and this was the perfect opportunity! I thought we might be the only ones traveling without kids but I quickly realized I was wrong. We met quite a few adults traveling without kids, including one mother/daughter duo who regularly took Disney cruises together. After a few days on board, I realized that Walt Disney Cruise weren’t just for the little ones! These are just a few of the reasons why you should leave the kids behind, grab your husband or your best girlfriend and have a little fun! The restaurants on board the Disney Wonder were amazing. While most meals on the ship are included, I highly suggest you spend a little extra and make reservations at Palo. 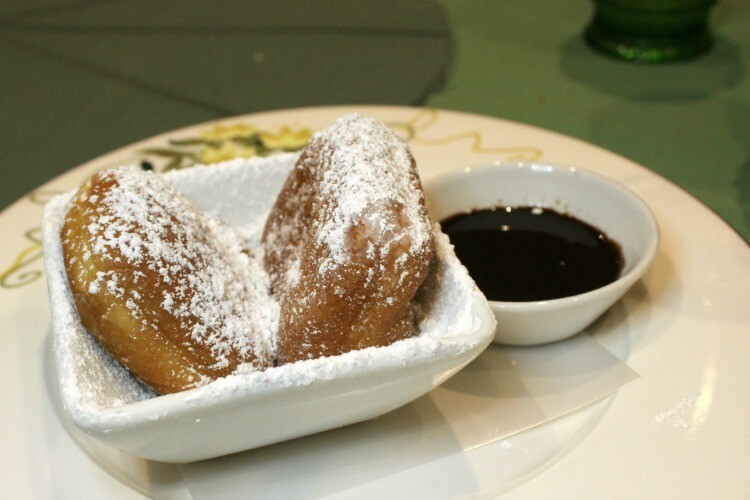 It’s fine dining at its best, and not the kind of place where you’d want to bring the kids. The food was amazing, the service was excellent and, with windows along the entire front deck of the ship, you couldn’t beat the view! While you share a table with others at dinner, Disney tries to pair adults only parties together. We were paired with two other sets of adults and had a wonderful time filled with uninterrupted adult conversation. I love all things Disney so I looked forward to all the shows. We accidentally missed The Golden Mickeys, but we enjoyed Disney Dreams, and the Frozen show was absolutely amazing! 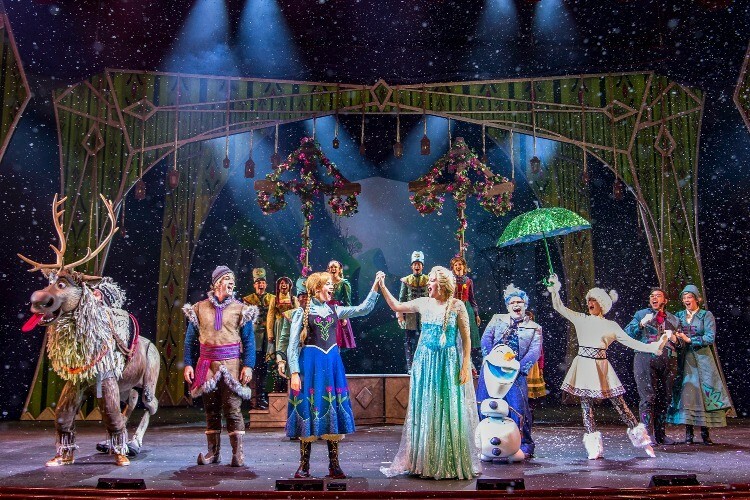 Don’t let the young Anna and Elsa puppets at the beginning fool you…it is not a puppet show. When you see something like this without the kids, you can actually focus on enjoying the show, which we most definitely did. TravelingMom Tip: If you’re traveling without the kids, schedule the late dinner and see the early shows. It seems that the majority of families eat early and see the shows late so if you want the experience with fewer kids around, do just the opposite. We used to go out regularly but once kids came along, we traded in nightclubs for Netflix. Since we don’t get out much these days, Kristie and I love the chance to check out the adults only nightclubs on board the shop. We had a quick drink at the Crown & Fin, a traditional British Pub, but the fun really began when we hit Azure. This after hours nightclub features everything from Match Your Mate (similar to the Newlywed Game), trivia, karaoke and more. The entertainment relied primarily on audience participation which is what made it so much fun. It also didn’t hurt that the host was hilariously entertaining! While I was in conferences for much of the time, Kristie thoroughly enjoyed the adults only pool. She was able to order a margarita and read a book while all the kids played at the pool with the giant waterslide. If you’re worried you’ll get bored without kids to follow around, just sign up for one of the numerous on board beverage seminars. If you enjoy adult beverages, you can register for wine tastings, beer tastings, martini tastings and even a chocolate and liquor tasting. There’s pretty much something for everyone. TravelingMom tip: These classes can fill up fast so it’s best to make reservations ahead of time. 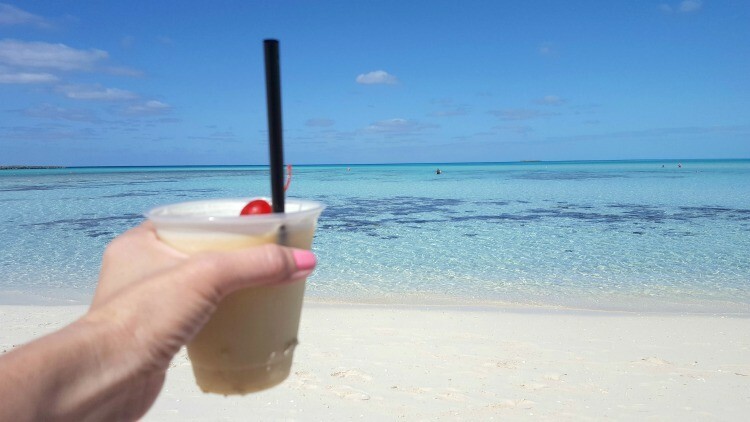 Castaway Cay was the highlight of the trip. We spent our day at Serenity Bay, reserved for guests 18 years and older. Disney’s private island is absolutely breathtaking and the only downside was that we couldn’t stay longer. It was really nice to relax on the beach without a worry in the world. It also didn’t hurt that a Disney cast member delivered Konk Coolers to us as we lounged on our beach chairs. We debated whether we should hide away in the woods and try to build a home on the island, Survivor style. We decided against it when we realized that our husbands wouldn’t be happy if we left them with the kids much longer. If you’re going to be kid free, I highly recommend a room with a balcony. We took full advantage of ours! 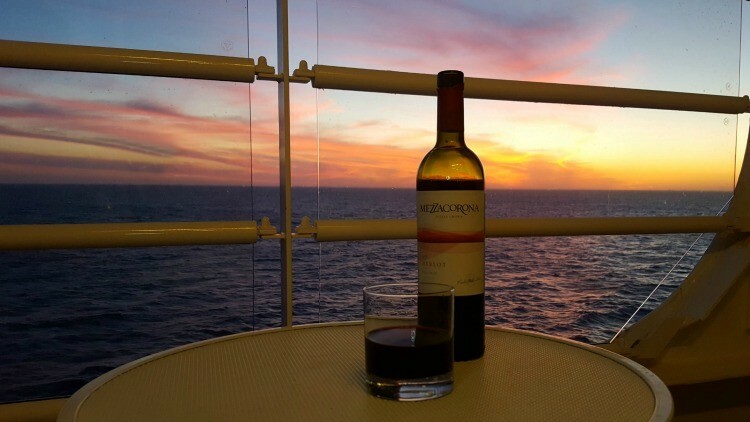 It was amazing to watch the sunset with a glass of wine before getting ready for the evenings activities. Some nights we even cracked the doors so that we could enjoy the ocean breeze. While Disney is careful to make everything completely safe, I probably wouldn’t have been comfortable doing that if the kids were there. Did I feel bad leaving the kids behind? I’ll admit that I felt a twinge of guilt as I was taking pictures with the Disney Princesses. I’ve also promised to bring them on a Disney Cruise sometime very soon. However, it was pretty nice taking a kid free vacation and enjoying some much needed mommy time. Disney knows how to do things right and a Disney cruise is an amazing vacation, with or without the kids. It is something my wife and I need, lol but she hates pools.